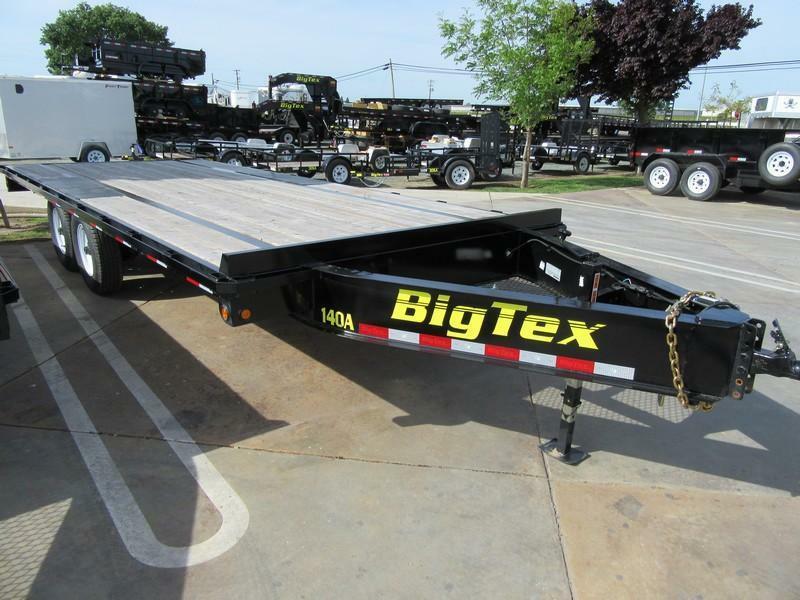 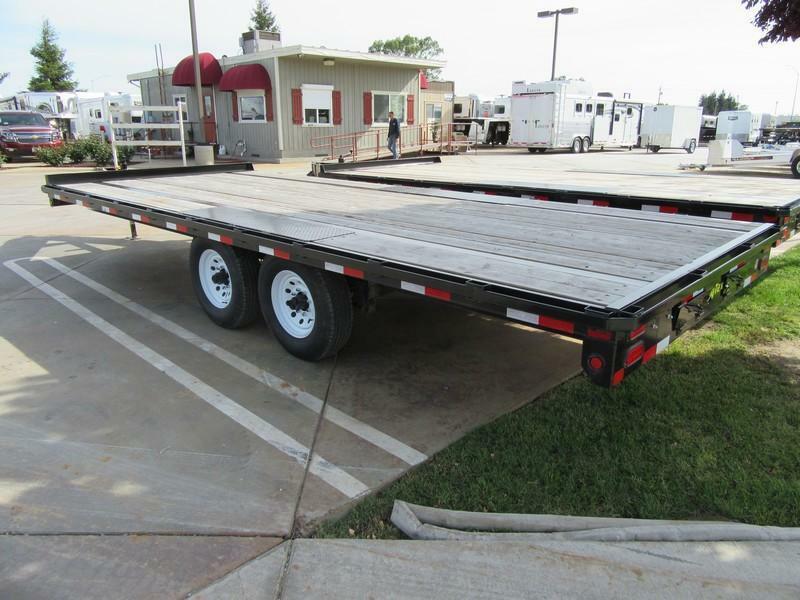 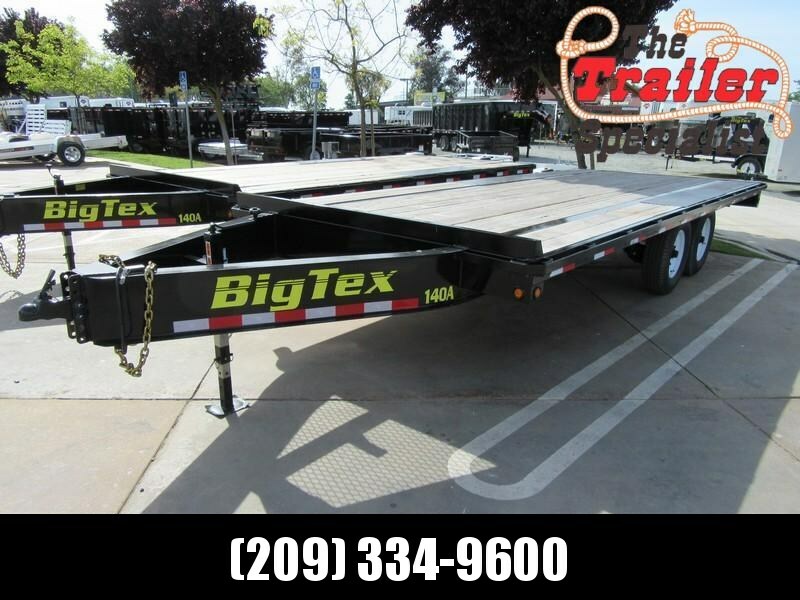 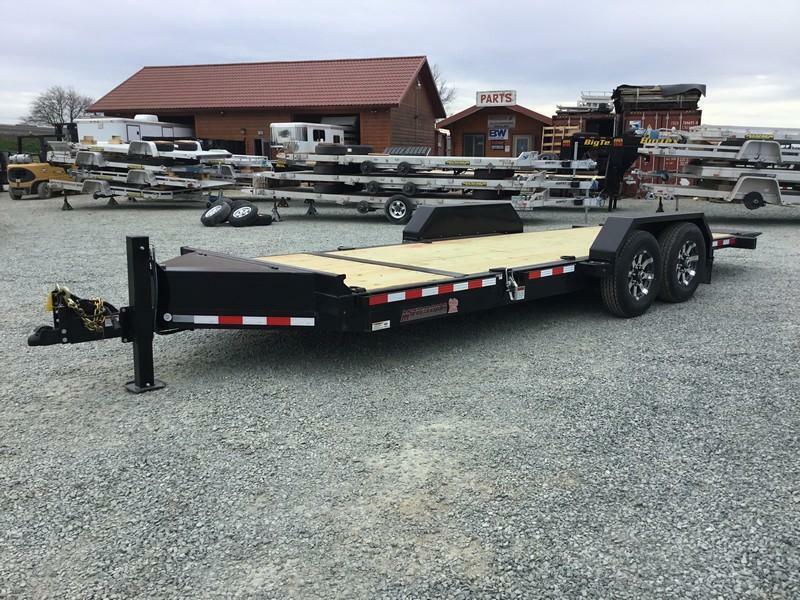 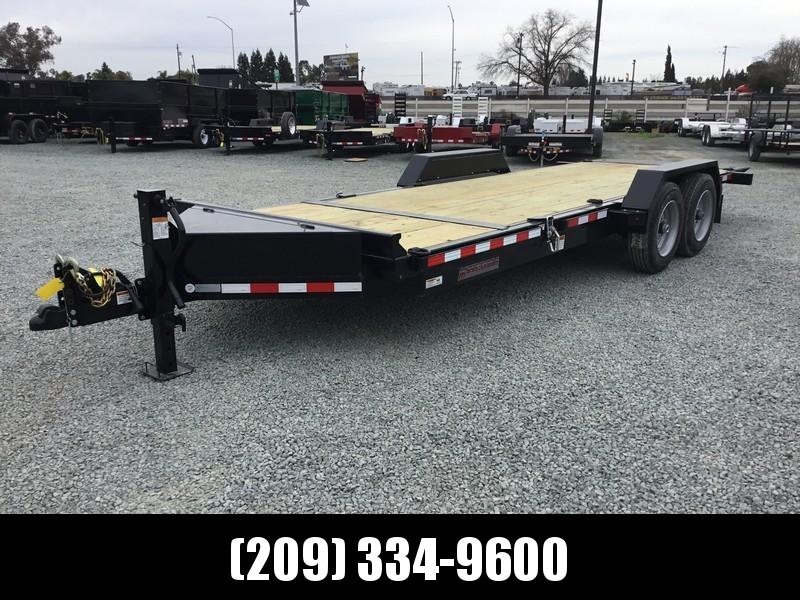 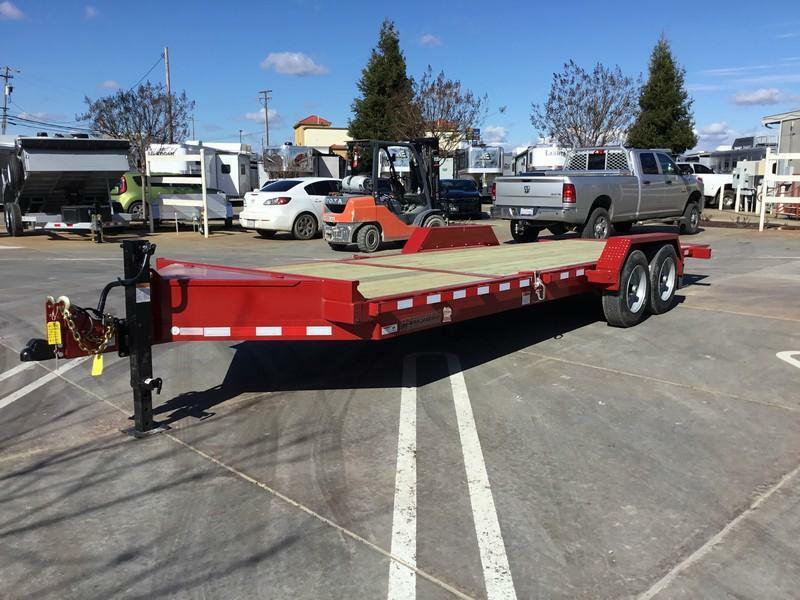 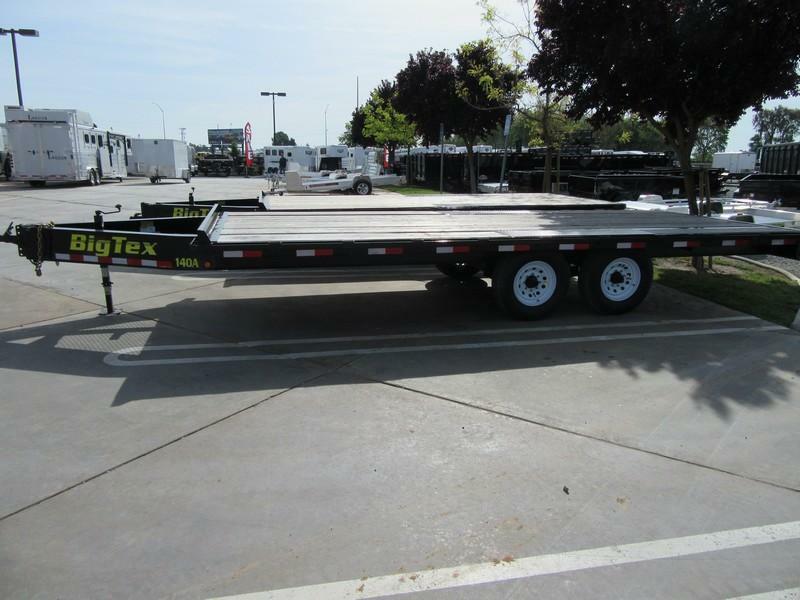 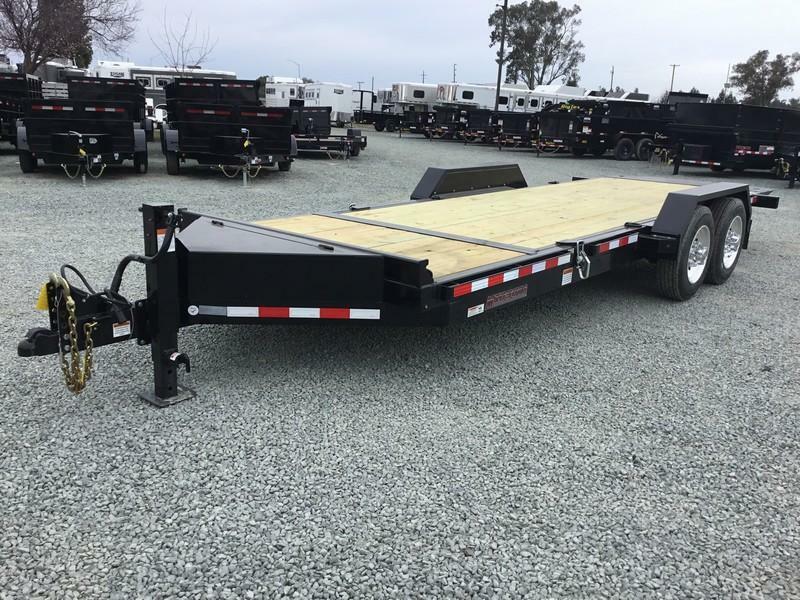 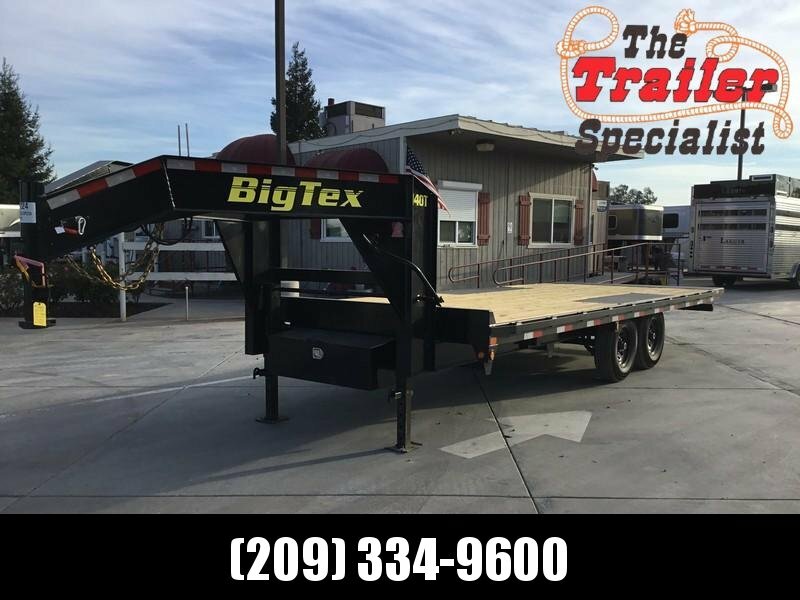 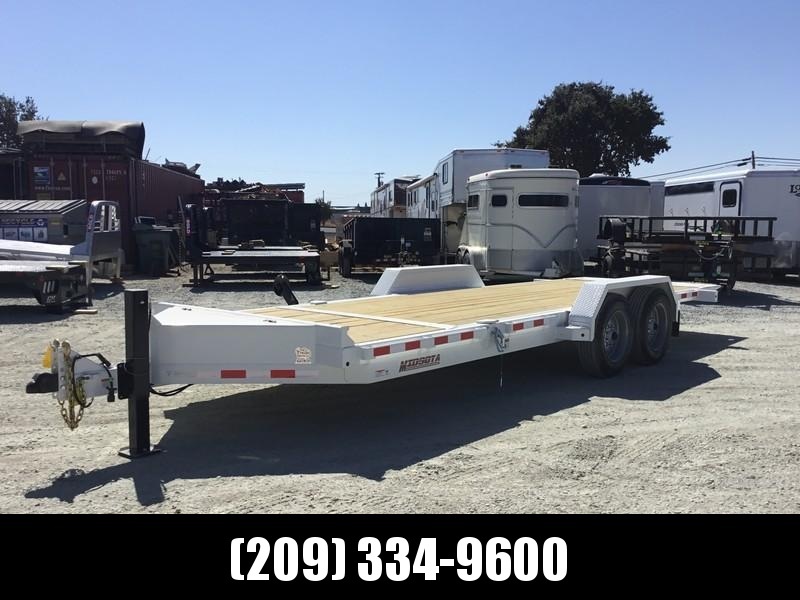 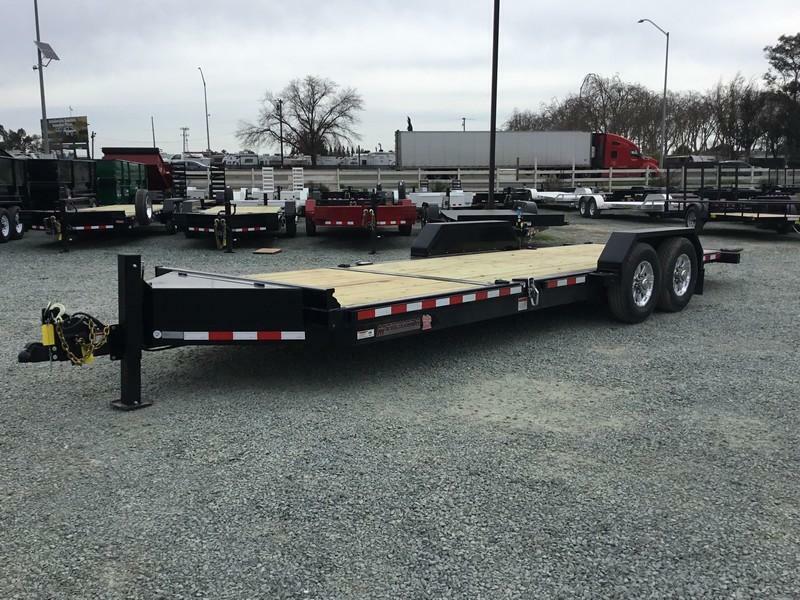 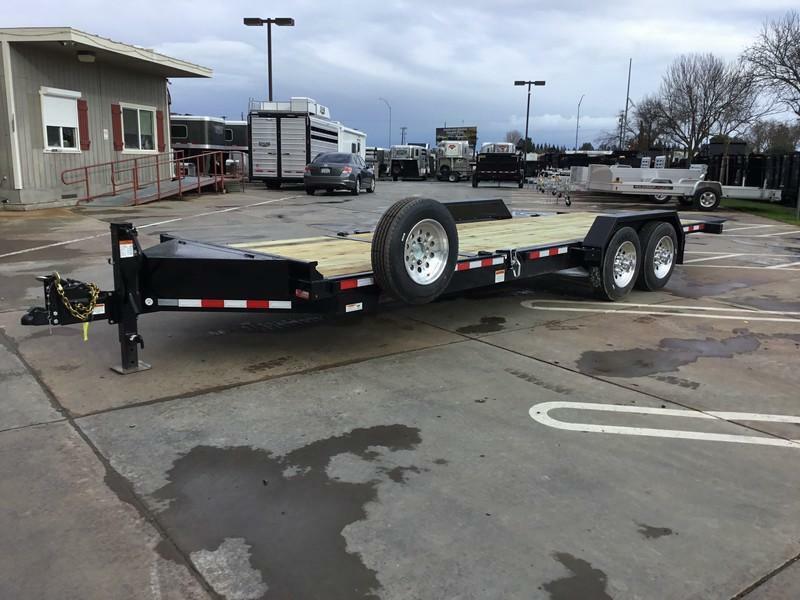 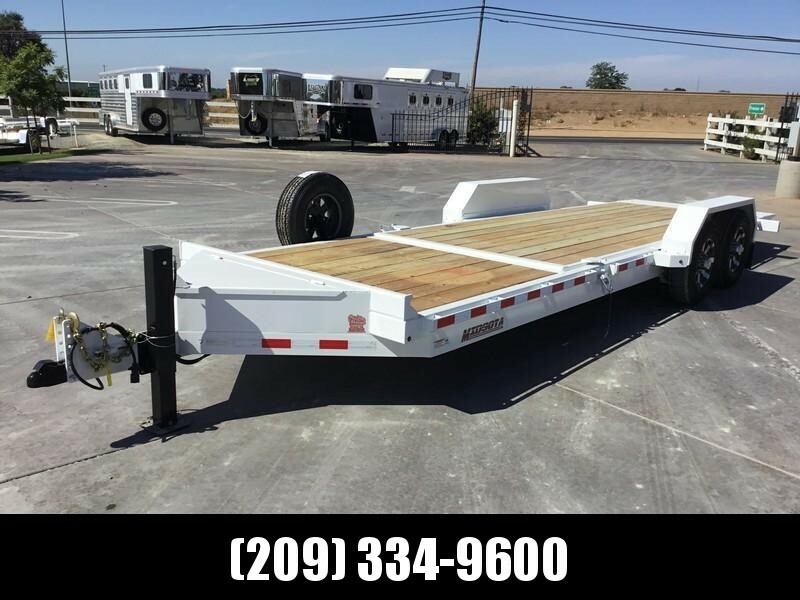 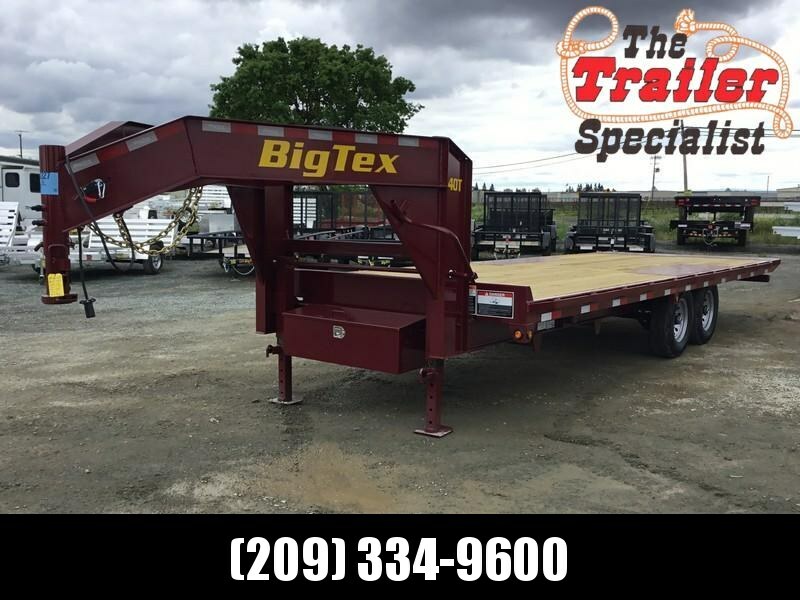 New 2019 Big Tex 14OA-20SIR, 102" wide x 20' long 14K GVW tandem over-the-axle trailer. 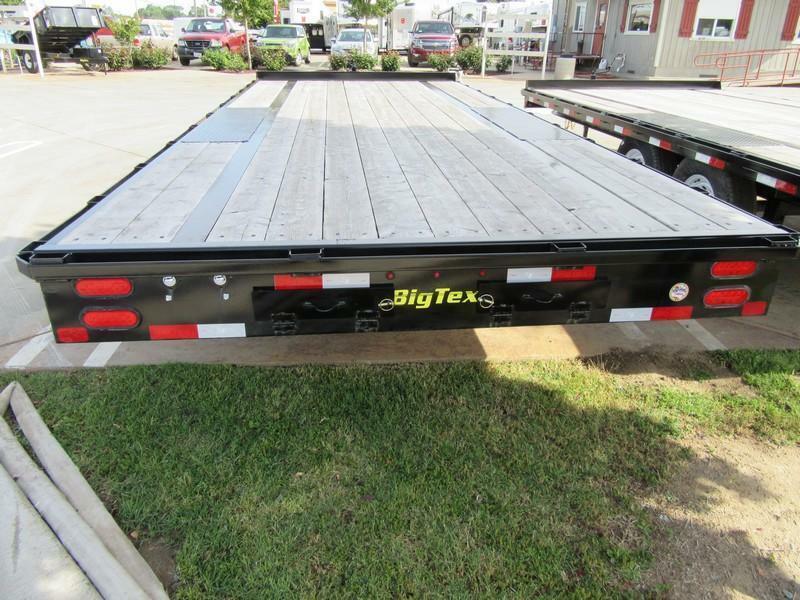 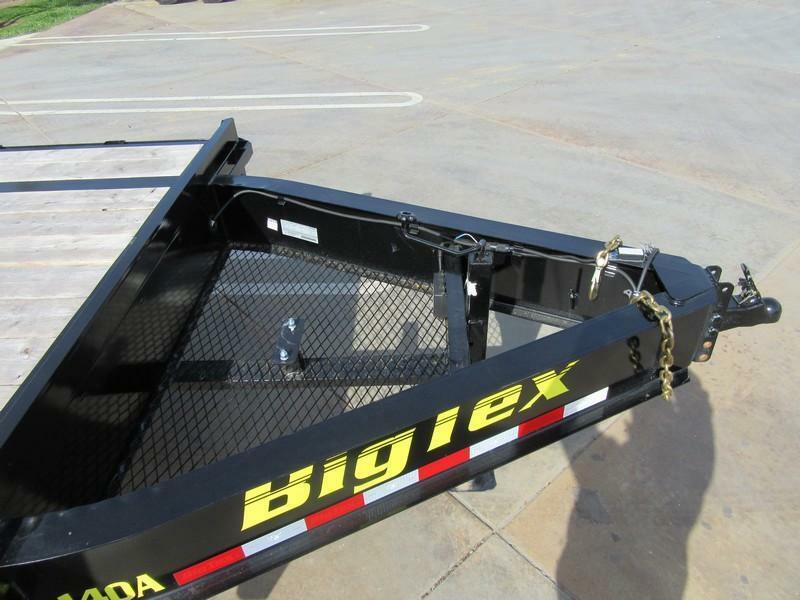 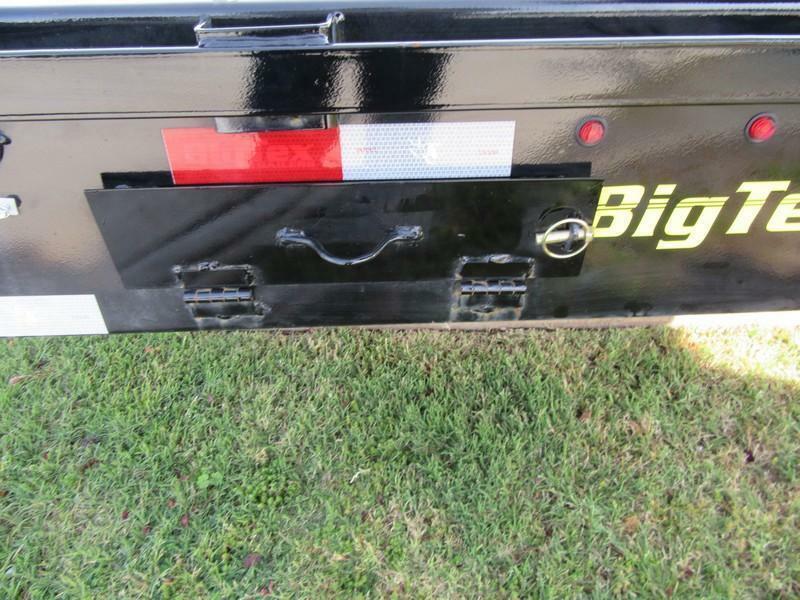 The 14OA from Big Tex is a heavy duty deckover trailer, perfect for hauling medium weight equipment. 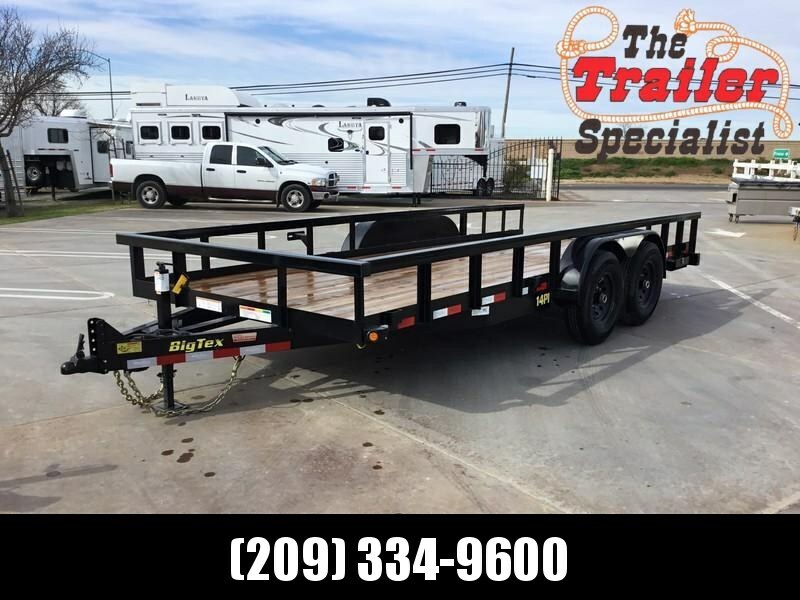 2 - 7000# axles with electric brakes on both, stake pockets & rubrail all 4 sides, 12" I-beam frame with 3" channel cross members, cambered EZ lube axles, spare tire mount, bolted on 7k drop leg jack, adjustable coupler, 16" tires & wheels (load range E), expanded metal in bottom of tongue for storage and LED lighting for maximum brightness. 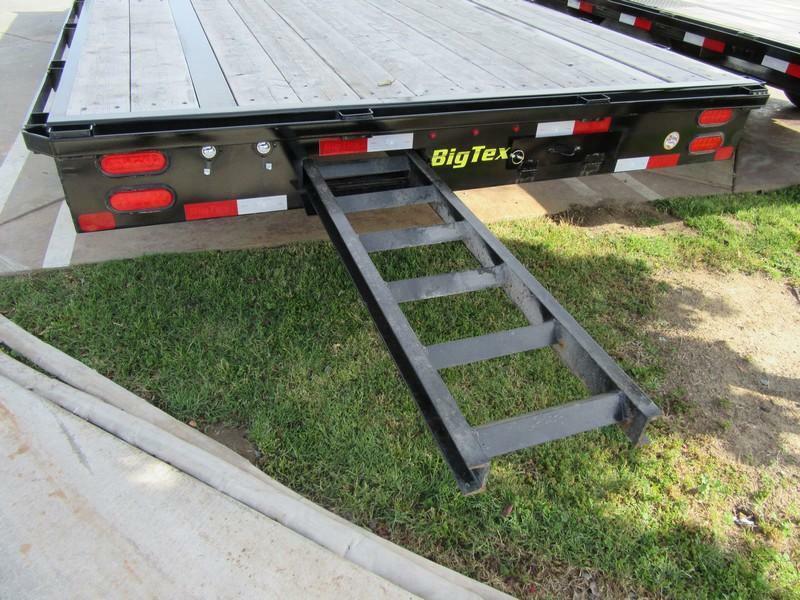 8' slide-in rear ramps. 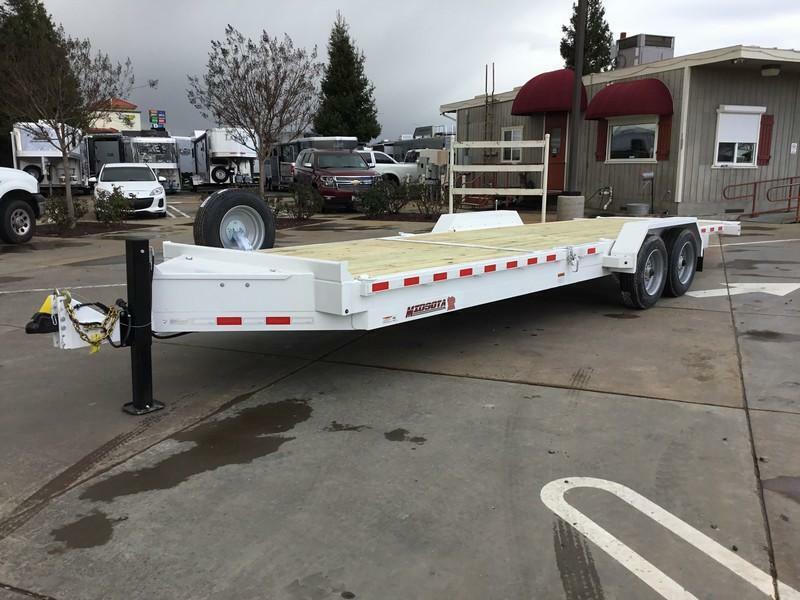 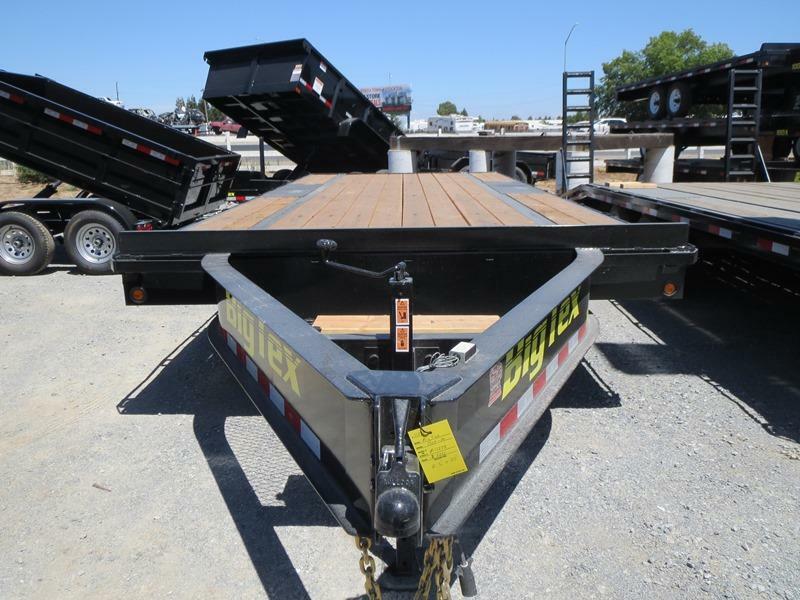 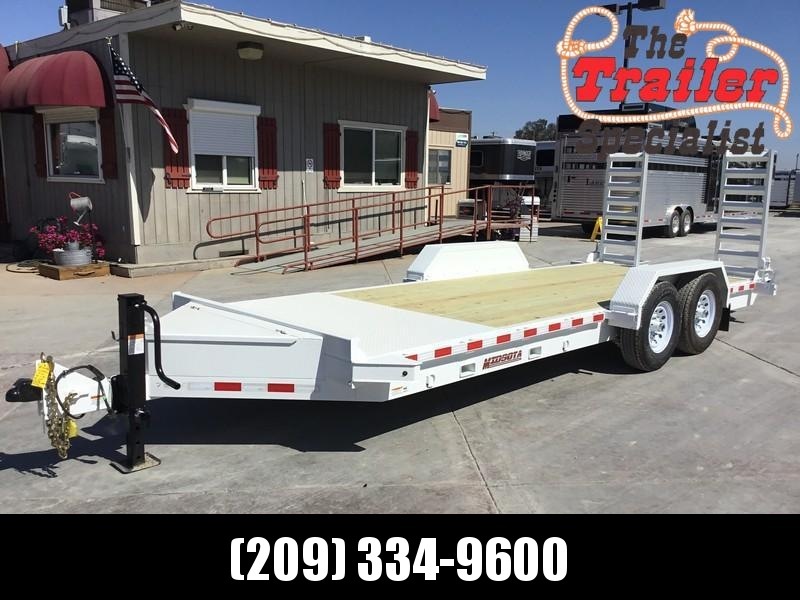 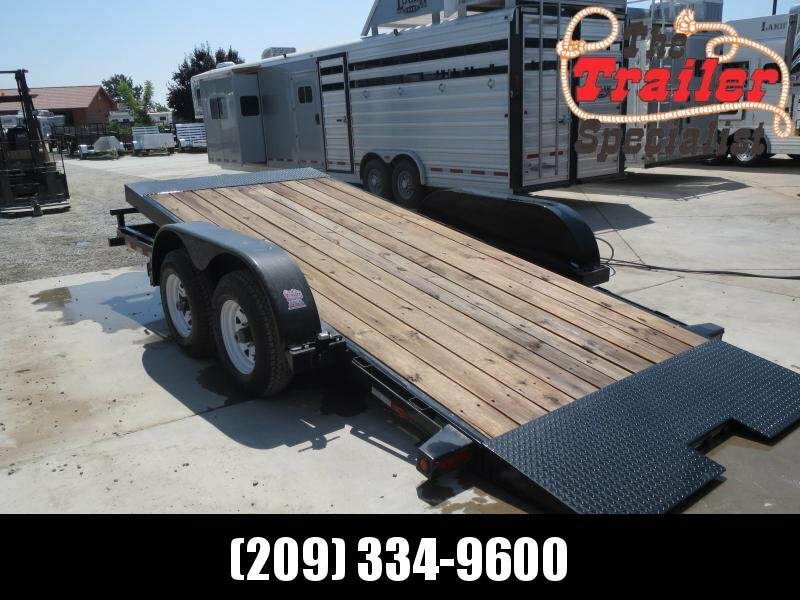 This trailer includes the upgrade of 8' Slide-in Ramps.